writer and retired teacher, I would like to connect with writers, agents and/or publishers. 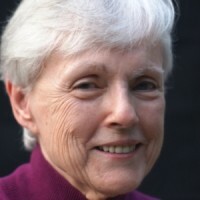 She has published numerous short stories in literary journals such as The Iowa Review, antioch review, The Literary Review, The Northwest Review and poetry in The New Renaissance & Punto 7 Review. Her novels include two in progress as well as Innocence and Gold Dust. She has given Readings and Talks at Authors' Events and presented at academic conferences, the most recent being the Association of Ancient Historians at Brock University in Ontario, Canada. She is a Consultant to writers and playwrights.